Summer is in full-swing, and in my world, this means it’s time for barbeques & potlucks. The Fourth of July is just around the corner, so I am getting ready for an NSNG celebration. Sticking to your meal plan on a holiday can still be delicious. There’s no guarantee that anyone else will bring a dish that fits in with your way of eating. If you plan to stick to your plan for the potluck, be sure the dish you bring is filling enough. There is always a possibility it will be the only thing there you eat. What if your potluck staple just doesn’t fit your new way of eating? Maybe there are some tweaks you can make so it does fit! I love a brat with cream cheese & onions all over the bun, but I no longer eat bread on a regular basis. 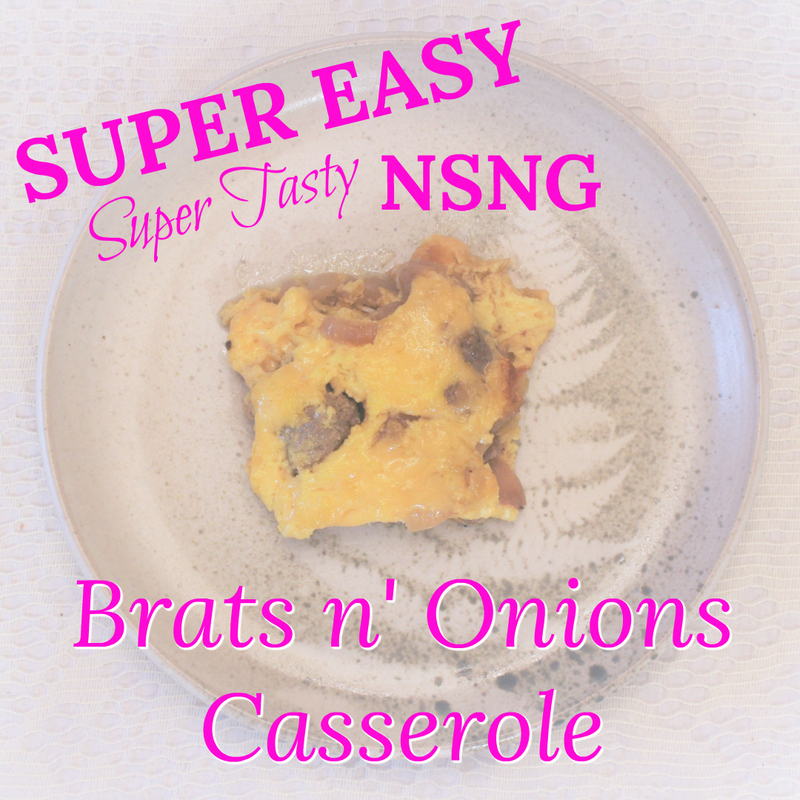 To make something I love fit with my meal plan, I’ve turned it into a tasty casserole. I don’t even miss the bun! Bring your dish and let everyone enjoy it! It’s not necessary to explain your “diet food,” or why it’s so healthy for them. They want to enjoy the party. If they don’t ask about it, just treat it like anything else you would have brought before your healthy lifestyle change. What does NSNG stand for … I’m guessing no sugar no gluten. Am I right? Close! It’s actually a step further: No Sugar No Grains.